When hundreds of good-hearted volunteers begin work Monday at the 2013 Millard Fuller Legacy Build in Atlantic City, N.J., they’ll be doing so exactly six months after Superstorm Sandy roared ashore, flooding thousands of residences. This Legacy Build will be unlike any other as The Fuller Center’s first Legacy Build to focus exclusively on long-term disaster recovery, a process already set in motion by the host Fuller Center for Housing in the New Jersey Pines and Fuller Center Disaster ReBuilders. But it will be different in another way as Fuller Center volunteers will not be working just to repair flood-damaged homes; they also will be working to win hearts of a public that is weary of rebuilding starts and stops, unmet promises, mountains of red tape and the few opportunists who occasionally descend upon such disasters. Fuller Center President David Snell embraces the challenge of winning over a doubtful public — not just for this single weeklong event but also for future homeowner partners who need The Fuller Center’s assistance in the long-term recovery process. The hope is that when word spreads of the good work done by The Fuller Center’s volunteers that more homeowners will come forward and accept the helping hand extended by our ministry in the months to come. Snell expects The Fuller Center to set the example for what can be done in Atlantic City and erase doubts that may be held by those unfamiliar with the housing ministry. Meanwhile, the weather for the week’s build will be cool but not cold. Highs every day of the build are forecast to range from 55 to 59 while forecast lows range from 46 to 48 each night. Click here for the latest weather forecast for Atlantic City. Click here to support the Millard Fuller Legacy Build. I’m so excited for everyone attending the Legacy Build! 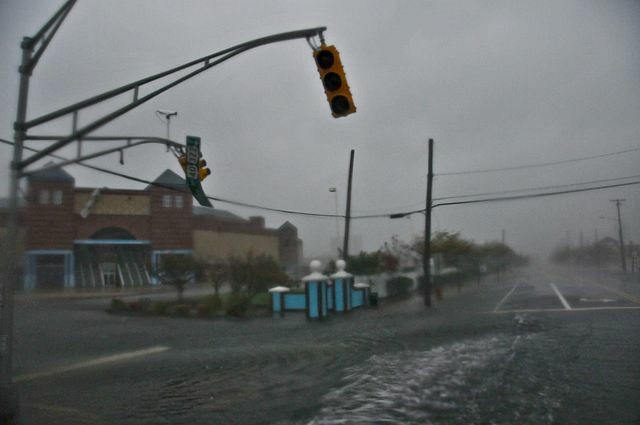 I hope you all have a safe, wonderful time helping those affected by Superstorm Sandy. I wish I was there, but my prayers are with everyone involved and impacted. O’yee Fuller Center!